If there’s a God, which at the moment I DOUBT, I want you to curse him. If there’s any Justice, I want them – both of them – in a car crash. Her husband’s gone and her future isn’t bright. Imprisoned in her marital home, Medea can’t work, can’t sleep, and increasingly can’t cope. While her child plays, she plots her revenge. Receiving its world premiere at the Citizens, this emotive and affecting new version of Euripides’ Medea is a piece of theatre that speaks powerfully to its audience. Mike Bartlett is a writer of rare form and his arresting approach to storytelling packs an emotional punch. The dialogue is razor-sharp and the pacing perfect. Rachael Stirling is exceptional and her electrifying portrayal of Medea is the highlight of the evening. This is a hugely accomplished piece of theatre impressively executed. 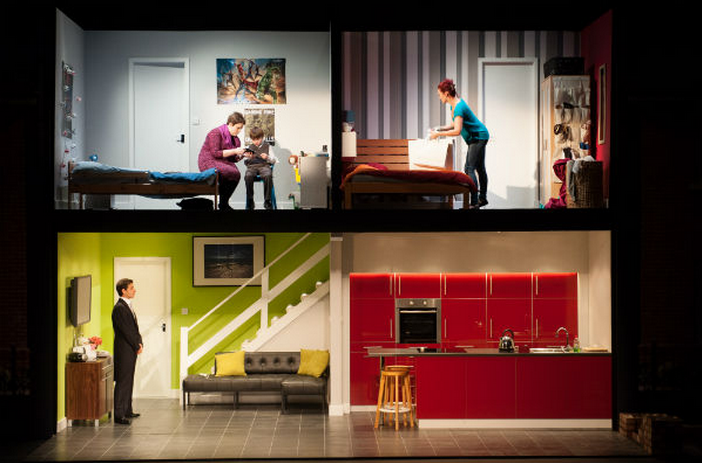 The combination of Bartlett, Stirling and The Citizens makes for an unmissable night at the theatre.